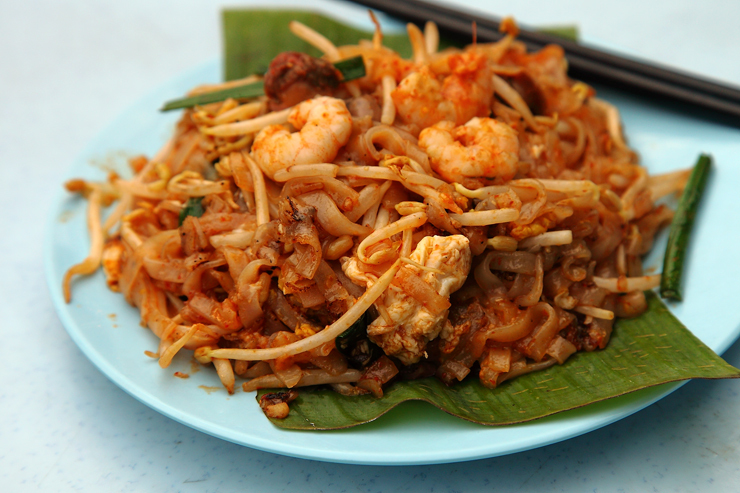 I am not sure what happened but the nice Penang Char Koay Teow stall at Kepong Baru had a change of hands. Sad to say, the quality is quite terrible now. But I guess every cloud has a silver lining, because I just discovered another Penang CKT by Top Kitchen that is not only great and authentic, it tastes even better! 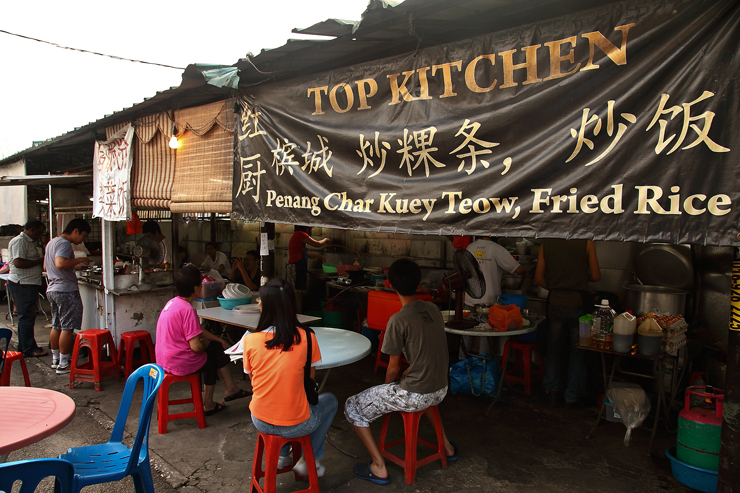 Top Kitchen is manned by a team of family who hails from Butterworth and they used to operate a restaurant at Bandar Menjalara. 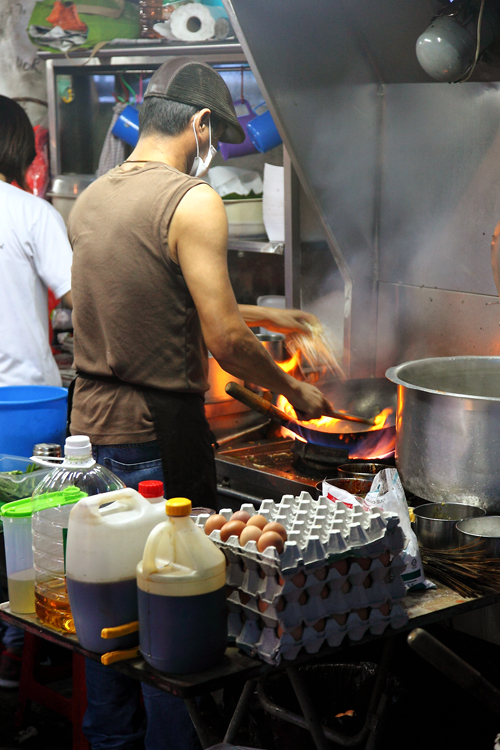 However, due to the stress of managing a restaurant, the boss who is also the main cook decided to relocate to Taman Bukit Maluri and operate a hawker stall instead. I know I have been blogging a lot about Kepong food but given so many hidden gems to uncover in this town, I see no reason to look further currently. 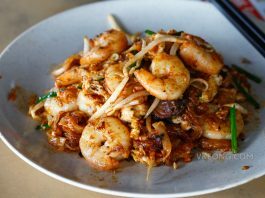 The CKT here is every bit as good as you’d expect from a good CKT (RM4.50 for small, RM5.50 for big) – fried plate by plate, uses lard, full of ‘wok hei’, spicy, aromatic and comes with fresh, firm prawns. I was hooked on the first try and already had two enjoyable dinners here for two days back-to-back. During my first time here the CKT arrived a bit wet so I requested it to be fried extra dry (or burnt?) on my next visit. The cook happily obliged and it came out oh-so delicious. 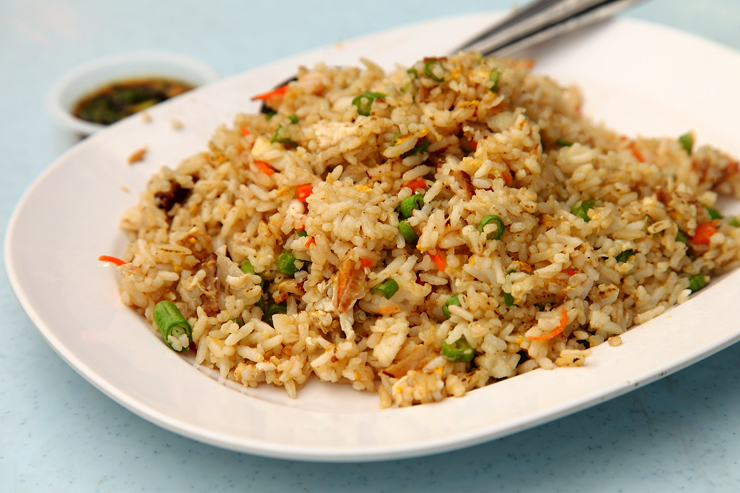 One thing about frying CKT is that the cook must be able to fry both small and big portions equally good – which is kind of tricky. 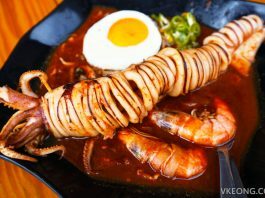 The inexperienced ones will sometimes underseason or undercook the big orders, but fortunately that is not an issue here. 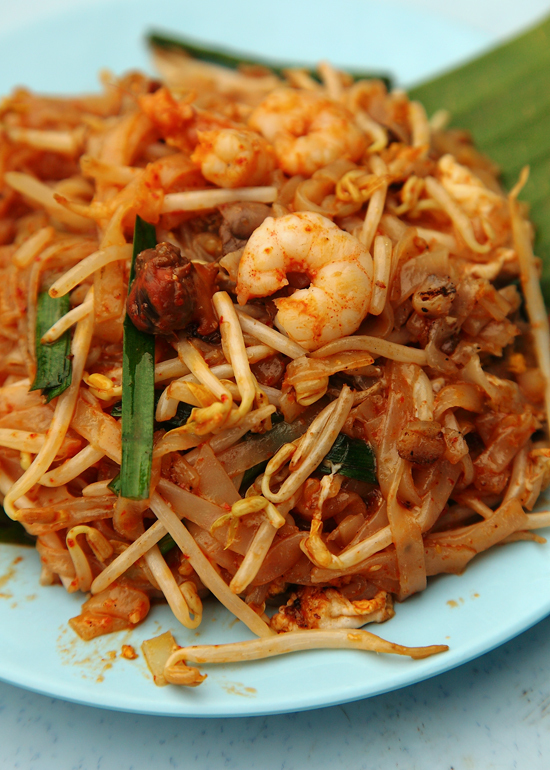 Other than CKT, fried rice, yee mee and Penang ‘Sar Hor Fun’ (similar to the ‘Wat Dan Hor’ in KL but in Penang, we use thicker koay teow and the gravy is prepared slightly different) are also available here. 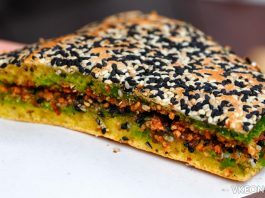 They are not as awesome as the CKT but still good nonetheless, so you could satisfy a few cravings at one go. Business Hours: 3:30pm to 9:30 pm. Closed on Sunday.